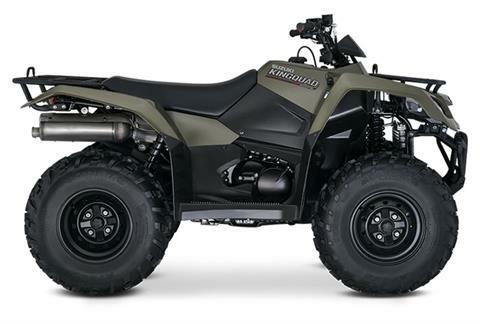 The 2019 Suzuki KingQuad 400FSi features a 5-speed manual-shift transmission and semi-automatic clutch for those who favor a bit sportier performance. It cranks out an impressive amount of torque and has an incredibly wide powerband for exceptional performance on the trail or on the job. A high-performance iridium spark plug and refined Pulsed-secondary AIR-injection (PAIR) system help provide outstanding fuel efficiency, clean emissions, and great performance. The 2019 KingQuad 400FSi features a new KingQuad logo plus a choice of Flame Red or Terra Green body colors. 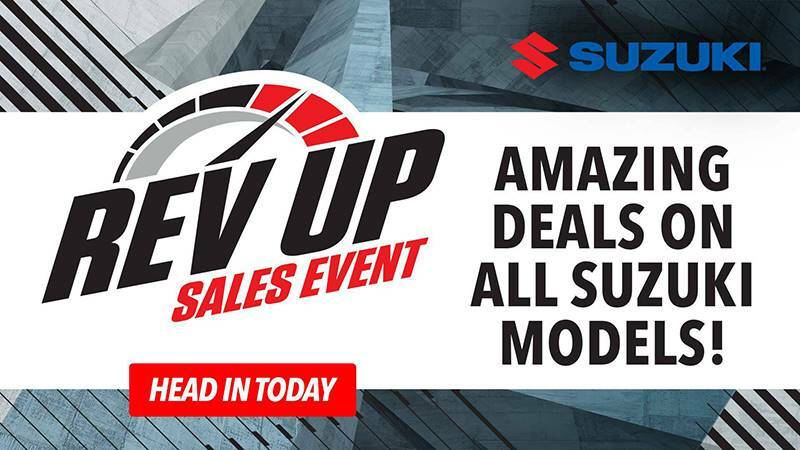 A variety of Suzuki Genuine Accessories are available, including winches, windshield, front and rear bumpers, snowplow, aluminum skid pans, rack extensions, utility box and more.